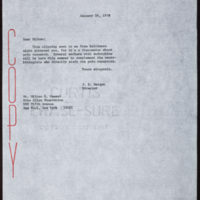 Enclosure from Mark Ptashne to James D. Watson. 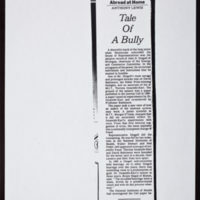 Editorial regarding the David Baltimore controversy. 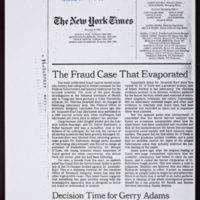 Copy of New York Times editorial: "The Fraud Case That Evaporated"
Enclosure from Mark Ptashne to James D. Watson. 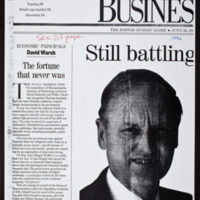 Article regarding the David Baltimore controversy. 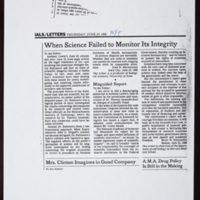 Copy of New York Times letters: "When Science Failed to Monitor Its Integrity"
Enclosure from Mark Ptashne to James D. Watson. 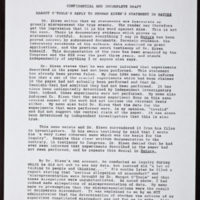 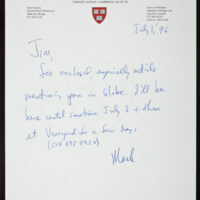 2 letters regarding the David Baltimore controversy published in the New York Times by John R. Menninger and Marc W. Kirschner. 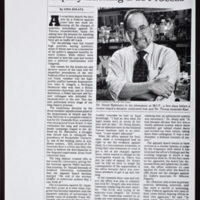 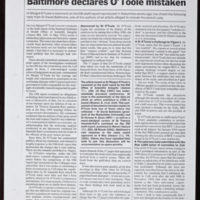 Enclosed with clippings regarding the David Baltimore controversy. 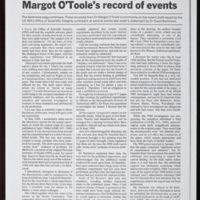 Copy of article from Nature: "Margot O'Toole's record of events"
Copy of article from Nature: "Baltimore declares O'Toole mistaken"